I would never have thought that rifles like AR-15’s and Mini-14’s would have become as popular as they are today. Most gun shops have a waiting list for receiving these types of firearms. My company which builds custom AR’s has a waiting list for up to 6 weeks for these guns in certain calibers and types. I should have known how well they would sell; they look like all the cool guns you see on TV. They are copies of the same guns our military uses. They have a special feel that you don’t get with a regular bolt action rifle. There are tons of accessories that you can install on any AR type rifle, not to mention they are extremely fun to shoot! If you have never taken an AR-15 to the range with a bunch of ammo, then you don’t know what you are missing. It takes a little while to get used to not working a bolt every time you pull the trigger, but in no time you can shoot 20 rounds of ammo at a target and have a smile on your face. I have taken many new shooters to the range with many different rifles to shoot and most of the time they will pick the AR type rifle. If they are younger, they will pick the AR rifle every time. The other day we were doing a photo shoot for a TV commercial. After the shoot was over the people being used in the commercial asked if they could stay longer and shoot the AR rifles some more. They both were having so much fun that they wanted to learn how to really shoot the rifles accurately. 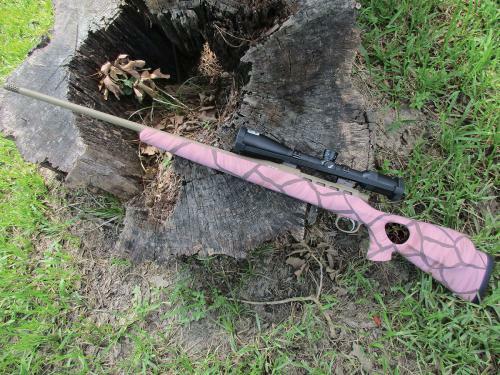 Neither person had ever shot a rifle like this before. 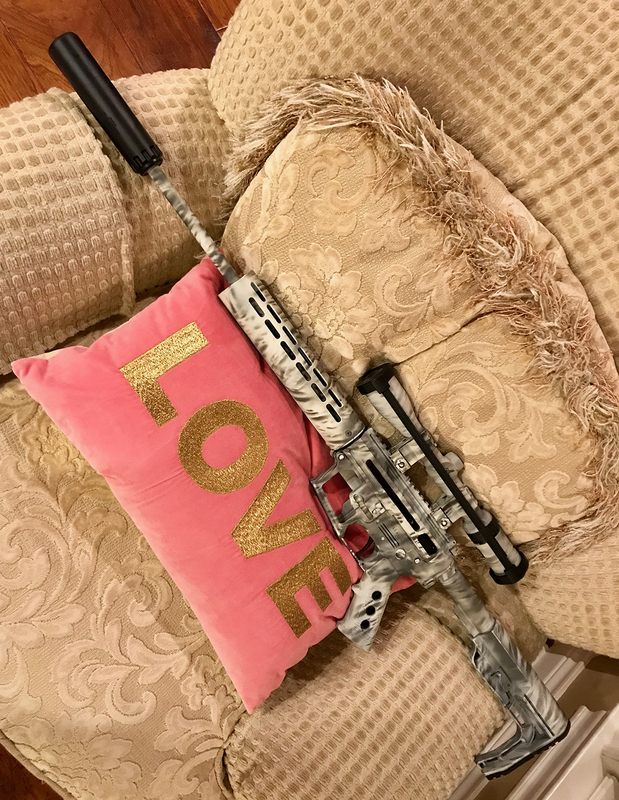 Some customers love their AR rifles. 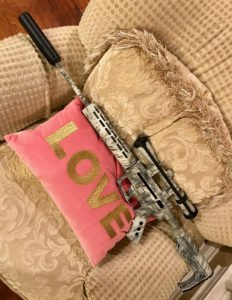 So now comes the big question – is an AR-15 type rifle just made for the fun of shooting or is it capable of being used for hunting? When I first designed our K-Yote AR rifle, I had the idea of building a rifle that you could sit out at 400 yards above a prairie dog town, get comfortable, install a 20 round magazine and be able to hit 20 dogs at that same distance. These rifles are very capable of that type of accuracy and we have used them just for that purpose. Prairie dogs don’t stand a chance at 400 yards as long as the wind is not blowing too badly. Last year, I took some magazine writers on a prairie dog hunt in West Texas. We brought 3 K-Yote AR rifles in 204 Ruger and .223, as well as, a bolt action Varminter rifle in. 25-06. The .25-06 rifle was shot a total of 5 times and the AR rifles were shot well over 2000 times, I was glad Federal had provided the ammo for the hunt. We shot dogs from as close as 100 yards and as far away as 600 yards, and the AR rifles did what we said they would do. We even managed to call in a few coyotes which won’t be harming the local livestock anymore. How about bigger game other than varmints? Is a .223 Remington caliber big enough to hunt White-tail deer here in Texas? Or how about some of the exotic deer we have here? My answer is a simple Yes and NO. First yes, if you are a good enough shot and can place the bullet in the right place then you will have no problem. Second, you have to be using the right type of bullet. A 55-grain FMJ bullet is not the one you want to use for hunting bigger bodied game. I prefer a bullet that will do a great deal of damage when it gets inside the body cavity. I think one of the best bullets for hunting big game with a .223 caliber is the 50 grain Nosler Ballistic-Tip. This bullet will penetrate the skin and the first few inches then it will come apart and destroy most of the vital organs inside the animal. Every game animal I have seen shot with this bullet died instantly and never took a step. Another bullet I have used with the same results is the Hornady 55-grain V-Max. This bullet does the same explosive damage on deer sized animals. 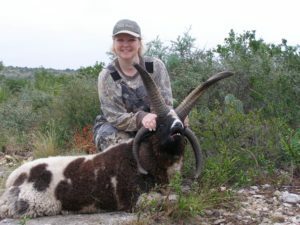 One of the best animals to hunt with a .223 is a Blackbuck Antelope. These little bucks will weigh about 70 to 100 pounds and do take a good shot to put them down. It seems like you can never get close enough to these wary Antelope. They always seem to know where the hunters are and able to stay out of range for a normal shot. My daughter was hunting at the Barnhart Ranch and shot one of these bucks at just over 250 yards with a .223 and it never took a step. Katie also shot several White-Tail does and a nice buck with a .223 before she moved up to a bigger caliber. The results we had with the White-Tail deer were the same as with the Blackbuck, they never took a step. 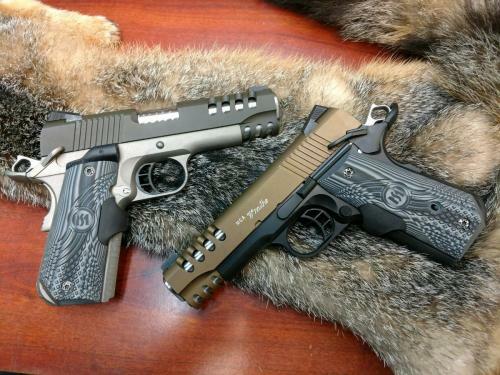 I also have a customer who is a real wildcatter of cartridges and has designed and built several of his own calibers. Mr. Aye prefers to hunt with small fast calibers and has killed Grizzly Bear as well as American Bison with .223 sized bullets. The Bear he had to shoot twice. The first bullet hit a rib and blew up. The second bullet went inside and killed the bear where it stood. Now I’m not sure I would use a small caliber on game that big or on something that could kill and eat me – that is what a .375 H&H is for. 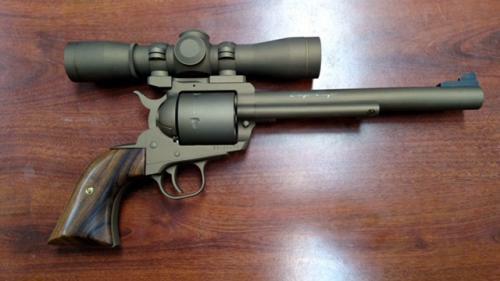 But for smaller Deer and Antelope, the 223 Remington caliber will do just fine. 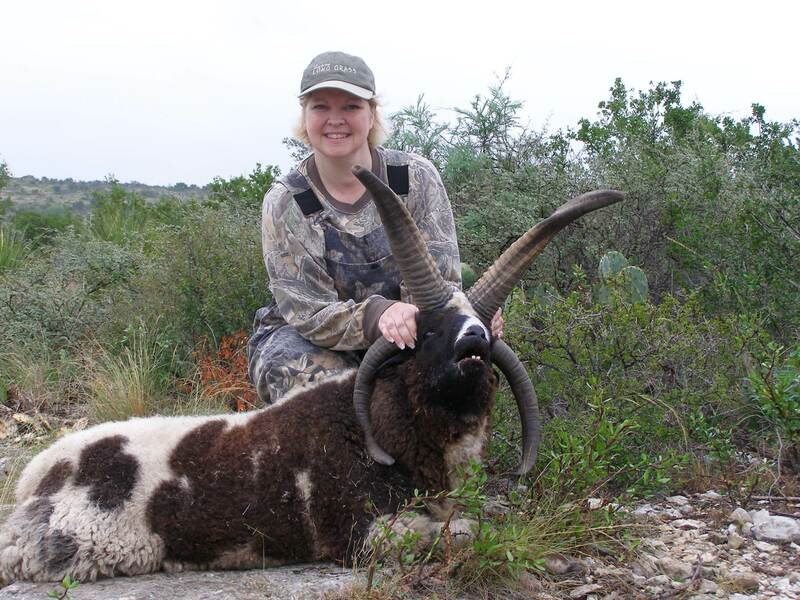 AR rifles are perfect for the 4 horn sheep. One other game animal that the AR type rifle works well on is Hogs. Wild pigs have become such a problem here in Texas that the numbers need to be brought down by 50 or 60 percent. A good bullet in a .223 or a .300 AAC Black-Out AR rifle will do a great job of killing these problem Pigs. You do have to shoot the pigs in the right place. I like to shoot them where the neck and shoulder join. This spot is in front of their shield and will break their neck killing them on the spot. Most bullets will penetrate through the shield on a pig so the behind the shoulder shot will work well also. The other nice thing about using an AR type rifle on problem pigs is that you can take more than one shot quickly. Now that we can hunt here in Texas using a silencer this makes hunting pigs even easier and you might be able to take more than one at a time. Try hunting with your AR-15 this year or let your kids hunt with one. 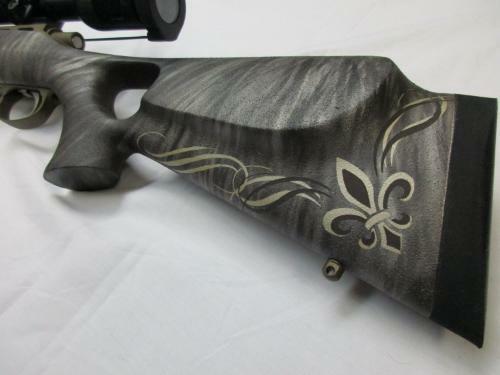 You might end up with a new style of gun for a hunting rifle! US appellate court lifts Obama’s ban on elephant and lion hunting.